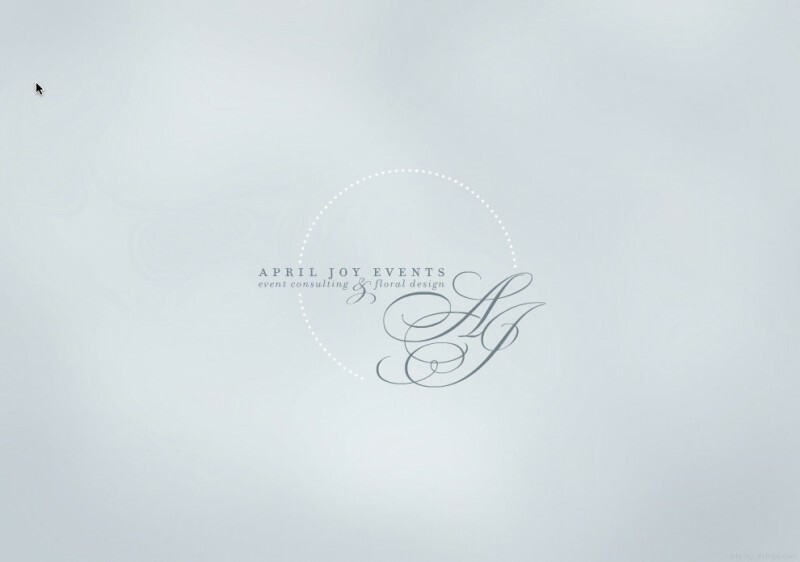 April’s new site is a great example of how quality professional photographs can make a world of difference. Her amazing arranging skills pop off the slate blue shell proving that she really does excel at making everything pretty. 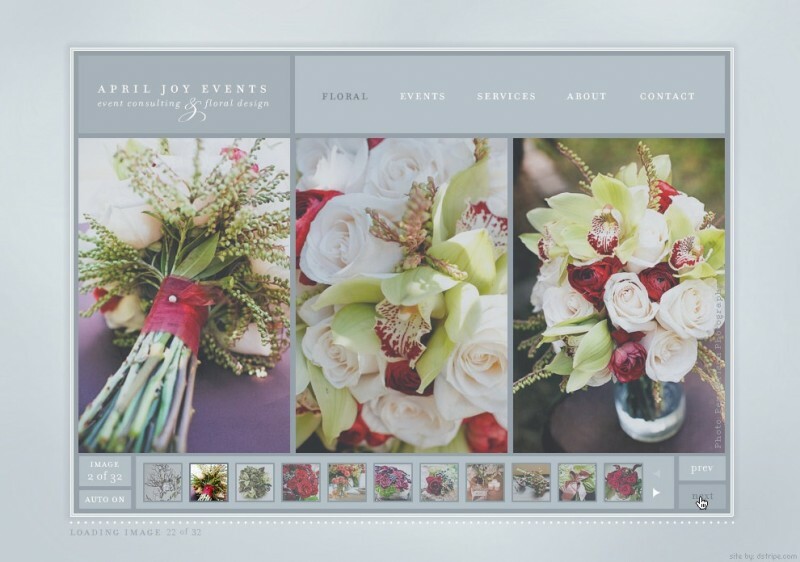 Clear scrollable thumbnails display April’s vibrant blooms and unique mixtures of texture. 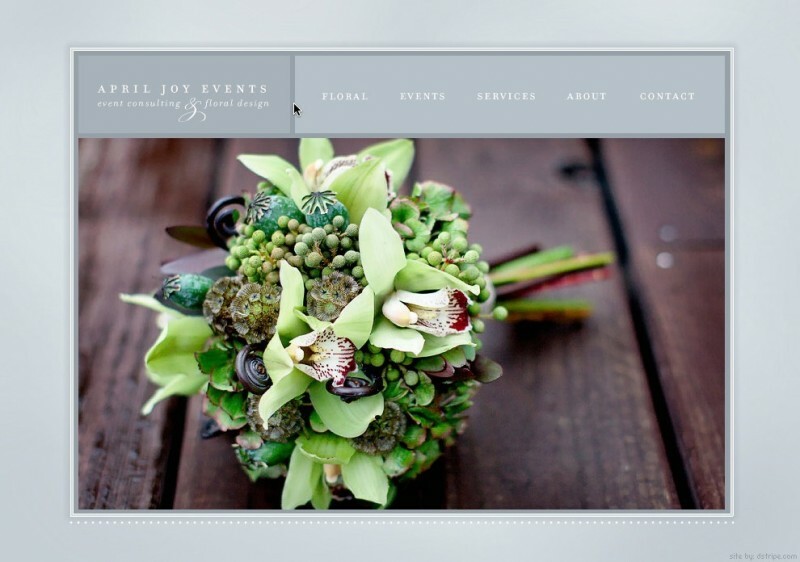 Deb is truly a master of web design; my clients and peers still rave about the Websites she’s designed for me. 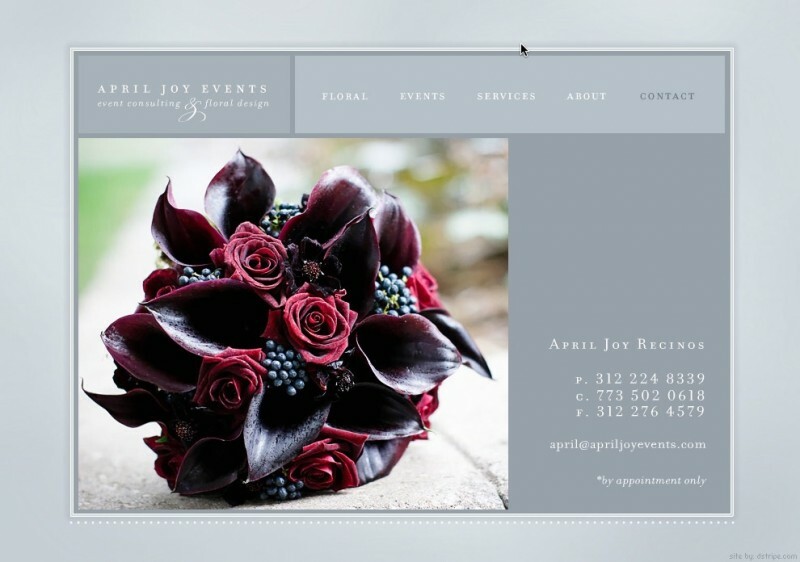 I have always been able to use my personal design talents to translate the intangible ideas of my clients into living, touchable, pieces of art; but when it came to my website; I needed someone to do the same for me. 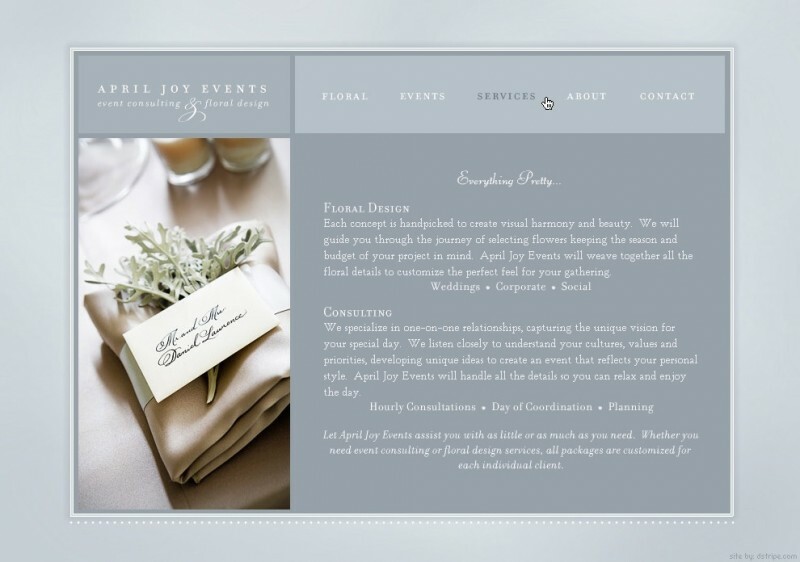 I had a vision of how I wanted my website to look and feel, but I needed someone to help me realize that vision and create a piece of web design art that spoke to my business. 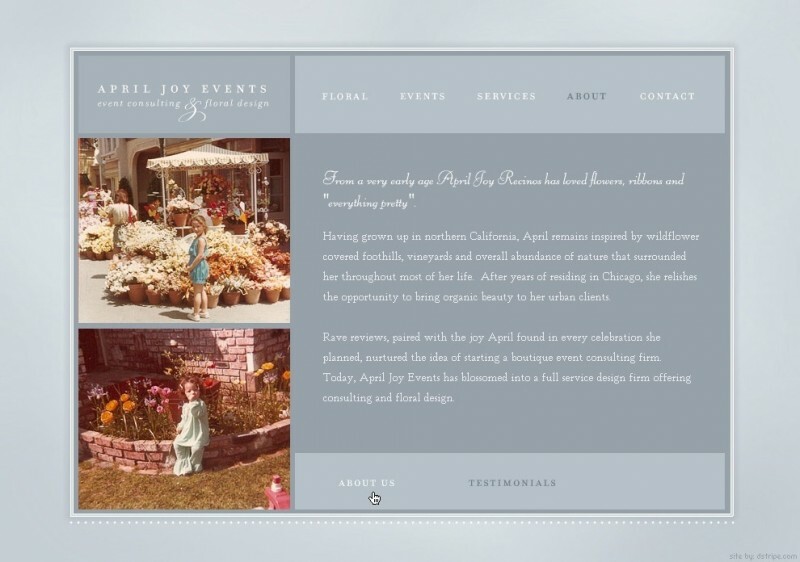 Deb took the time to understand my ideas, become familiar with my aesthetic, and collaboratively build a comprehensive website that I am proud to call April Joy Events. Collaborating with her on the creative process felt as though I had retained control over all the details. What I show my clients, pictorially, is one of the most important ways I communicate with them. That said, my website is my number one marketing tool. 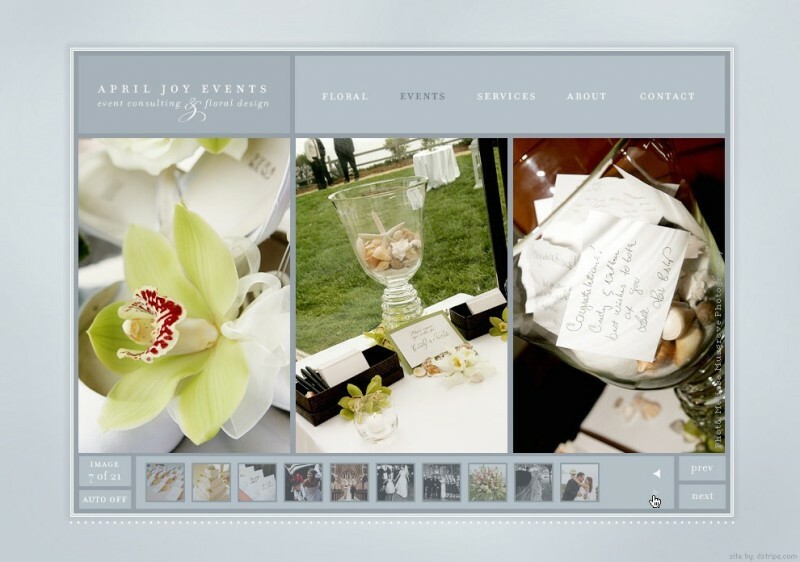 Deb tapped into my imagination and channeled my ideas into a website that conveyed my message, creativity and feel. Thank you for creating not one, but two amazing websites for me.